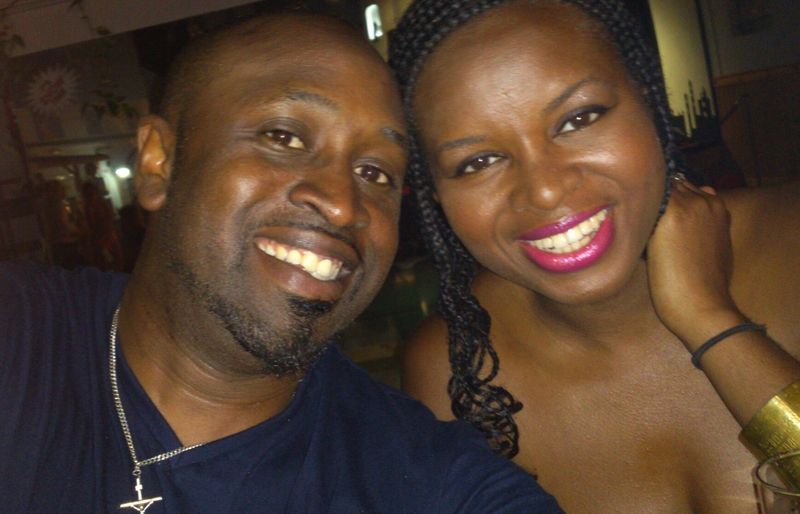 Keysha Davis is the fabulous editor of BlackHair Magazine, and creator of Cocoa Diaries. 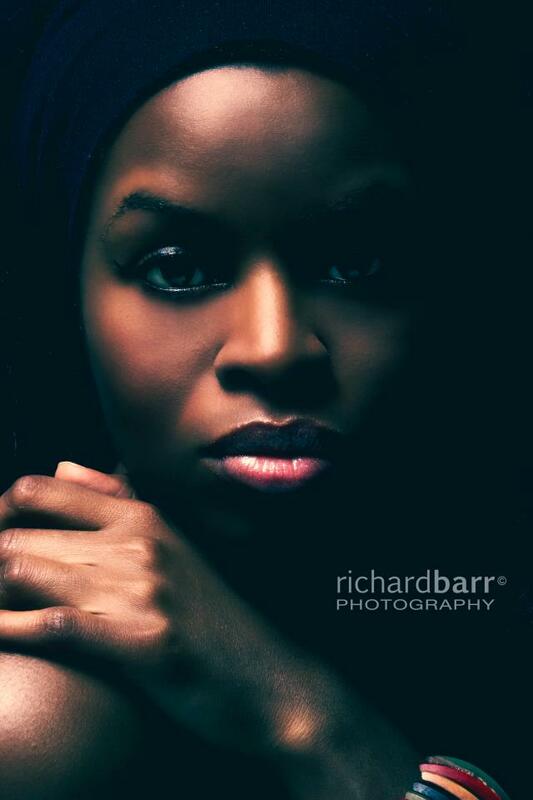 Rich Barr is an extremely talented and well-known photographer, who specialises in Fashion, Beauty and Events, among other things. 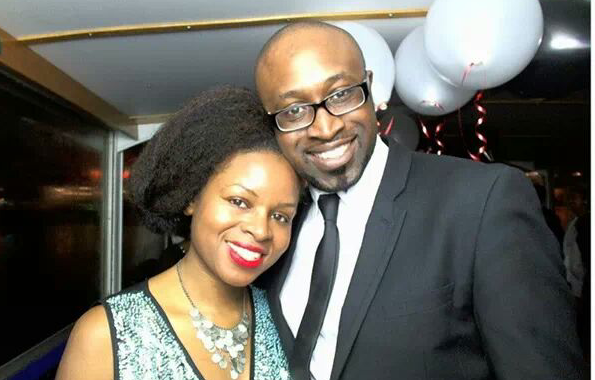 In the spirit of Valentine’s Day, the lovely couple tells us how they lurve and keep their relationship so strong. What is your relationship status and how long have you been together? Keysha: Richard and I have been together for 10 years now. We celebrated our 10 year anniversary this summer. Richard: We actually met years ago in university (1994 I think) and were friends for many years before meeting up again after quite a long absence in 2003. Ironically enough it was at a party that both Keysha and I were quite reluctant to attend, but in hindsight, was the best thing I’ve ever done! Once we did meet that night, our attraction was in complete control and we soon after began dating. Keysha: I don’t actually remember the first time we met but I do remember thinking that Rich was a nice guy. Our relationship was definitely wholly plantonic as I had a boyfriend at the time. Was there any type of attraction when you first met? Richard: I actually fancied the pants off Ms Davis, but I was aware she was seeing someone at that time, so I kept any notion or feelings of anything other than friendship quietly to myself. I recall one particular moment at university, walking into our canteen hall and seeing her laughing and joking with our gang of friends and thought to myself, “Now that’s somebody I could marry.” I was truly smitten with her, but really didn’t think anything could or would ever come of it. Ironically, when we did eventually meet up years later, we seemed to hit it off immediately, at first completely unaware that either of us felt that kind of attraction for one another, but after a certain conversation and true feelings were revealed we both began feeding off each others energy and affection to begin what I can only describe as the perfect courtship. And I mean PERFECT! Keysha: Rich was the quintessential ‘nice guy’ when we met and at the time, like a lot of young women, I was into ‘bad boys’. Thankfully I grew out of that phase and was able to get to know Rich years later, and appreciate all the qualities he had to offer. Richard: Not really sure to be honest, and that’s partly down to the fact that we had been friends for so long that a certain sense of familiarity already existed between us, so what I now look back on and recognise as our ‘early courtship’ to me was more of a catch up with a really good friend, and also a harrowing experience of trying to hide my feelings for her which, in truth, was a real battle of the mind over the heart. But after a couple of weeks of ‘casual’ get togethers with friends and family I decided I had to tell her what I had really been feeling for her, now and all those years ago. That conversation to us is now legendary, with me making an absolute mess of what was supposed to be a carefully worded monologue of friends, love and acceptance, leaving my conclusion as an open ended question as to the possibility of us exploring our friendship closer. Much to my surprise, I was met with a very positive response from her, and even a revelation of her own about how she felt toward me. So in a sense I guess it was me that initiated it all, but the reality is, I think it had already begun by then. Keysha: Our relationship happened so organically that’s it’s difficult to pinpoint who actually made the first move. So to give you a summary of how we became a couple: years after we left university we both met up at a club in the West End. It’s funny how serendipity works as we both can recall how we didn’t want to go out that night, but were kinda coerced into going by our friends. I didn’t recognise Richard instantly, he was talking to our mutual friend in a hallway and I remember thinking “Hmmm, who is this hot guy?” When I got a bit closer our friend said “Keysha, don’t you remember Richard?” He took off his glasses and I was a bit gobsmacked… little Richie had grown up! He was confident, had filled out a bit, looked really well groomed and handsome. I tried to play it cool but inside all I could think was “I wonder if he’s single…” When we said our goodbyes, I told my friends how he had caught my eye, but I had remembered he was engaged (I had bumped into him on the tube a few years prior so I assumed he was probably married by then). One of my friend’s decided to be proactive and just literally went up to him and asked, “Richard, are you single?” He answered “Yes” much to my delight. We exchanged numbers, and later that night (bearing in mind we left the club around 2am) he called me. We spent hours on the phone catching up and agreed to meet up later on during the week. Richard: I remember the day vividly, the build up of excitement when I was at work, the mad rush home frantically going over my attire for the evening and fine tuning the grooming regime to ensure that all aspects were on point. Yeah we guys do that too! The date itself was a trip to the pictures, and then off to a wine bar in Brixton for cocktails later. We went to see Brown Sugar, a cool hip hop filled, black casted rom-com about two friends hooking up after years of friendship, trials and tribulations all against a fantastic sound track of old school to present day hip hop. Could there be any better film to go see on OUR first date?? I doubt it. That set the evening off nicely leaving us both in good spirits and kinda loved up too!! We then proceeded to The Satay Bar, on Coldharbour lane, a well known spot amongst our peers, and as to be expected, it wasn’t long before we had both bumped into friends in the bar, who very quickly realised what was going on and made excuses to quickly disappear. So our evening was spent reminiscing on uni days and the journeys we’d made since our campus days. I remember the walk back to the car, and being out in the warm summer evening air with the noise and bustle of Brixton at night as our sound track, and thinking just how perfect everything was, especially her. Keysha: I remember this day very well. It was a Friday evening and it was a really nice summer – sunshiney days almost every day, a bit like the summer we’ve just had actually. I had been wanting to see the rom com Brown Sugar for a while so suggested it, thinking it would be an ideal date movie. Rich liked the idea and we both agreed to meet outside the cinema in Greenwich at around 7pm, I believe. Richard was late. Yes, the dude picked one of the top dating deal-breakers, turning up a good twenty minutes or so after we were scheduled to meet. Funnily enough, I wasn’t that bothered. Because I knew him I didn’t have any of the usual relationship anxieties that you have when you first meet someone new. When he eventually turned up, he apologised profusely and we got our tickets and snacks and went to watch the film. Brown Sugar was kinda corny but the story – about two friends who share a love of hip-hop and eventually became lovers – really resonated with us so it was perfect in some ways. It was almost like further confirmation that the two of us should be together. Afterwards we didn’t want the date to end, so we drove to the Satay Bar to have a couple of drinks and some nibbles. Satay was the lively hub of activity that it normally is, so we had a great time chatting it up and observing some of the goings on of the punters. The next thing I remembered was two of Richard’s female friend spotting him and making their way over to our table. I’ll admit I was a bit disappointed, as I didn’t want to share him, but as it turns out they were lovely (shout outs to Ursula and Charlene) and their bubbly personalities gave me further reassurance that he was a cool dude. How did you decide to become exclusive? It was through this conversation that it dawned on me that she really had stolen my heart. I guess after that conversation, even though she said she understood, I knew that only my actions going forward would make her believe the words I had said. I think for me, this was the first time I acknowledged openly that she and I were exclusive. Even till now, I often wonder what would have happened if I had acted before thinking, and had decided to go back to the life of flying solo. All I know is, I am thankful that I chose to stay on this path, as my life has been blessed ever since. Keysha: We had a blissful couple of weeks just hanging out and dating the old fashioned way, it was really nice. And then one day Richard invited me to his family home for a BBQ. I thought it was a bit unusual as it was on a Monday, but I went anyway. When I arrived I realised it was just his immediate family which made me think that maybe he does like me. After meeting the family and over indulging on the delectable feast, Rich and I stepped out into the garden to have a chat. I was really quite nervous as I wasn’t quite sure where the conversation was heading, and it took him a while to get there, but Mr Barr eventually expressed that he had feelings for me. I was happy, delighted in fact. I of course told him I felt the same and that’s when we more or less became ‘exclusive’. What does it take for you to make your relationship work? Keysha: I think we’re finally learning to accept one another for who we are. For instance, I’ll never be the type to prepare three course meals from scratch every night and bake cookies at the weekend. Likewise, Rich will probably never be a morning person, or the type to take out the bins regularly without my ‘gentle’ reminders. With time we’ve learnt to overlook our imperfections and just deal with them. I also think the fact that we share common goals and come from very similar backgrounds helps. There isn’t one definitive magic answer to be honest… If I knew the answer I’d probably be running seminars and writing condescending relationship manuals. Richard: For me the one true constant that needs to be present in any long term relationship is communication. Previous story Ask The People: Were there any other black cultures or nationalities that your parents told you they didn’t want you to date?